Additional Information: 5 labels across. UL/cUL indoor recognition when paired with Zebra's 5095 and 5100 resin ribbon. 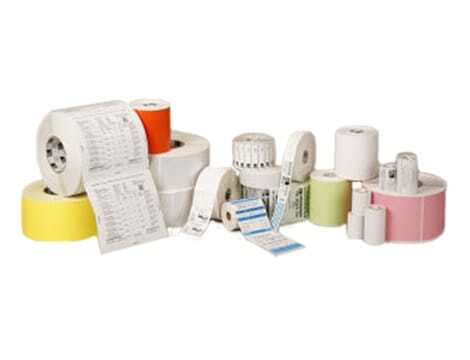 Material Description: Thermal transfer matte Kimdura polypropylene label with a removable adhesive. Additional Information: 3 labels across. Additional Information: 2 labels across. 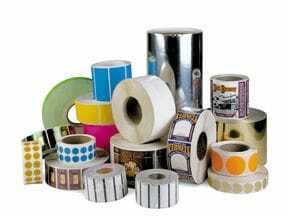 Material Description: Premium thermal transfer paper label with a removable acrylic adhesive for applications requiring clean removability without damaging the label or surface. Recommended for indoor use. Additional Information: Meets FDA 175.105 indirect food contact requirements. Estimated Case Weight: 24 lbs.